New downloadable content is now available for Monster Hunter Freedom Unite. Players can download a challenging new quest as well as several new bonus items. The new quest, titled "Slay all of the Large Monsters" gives players 27,000z as a reward. 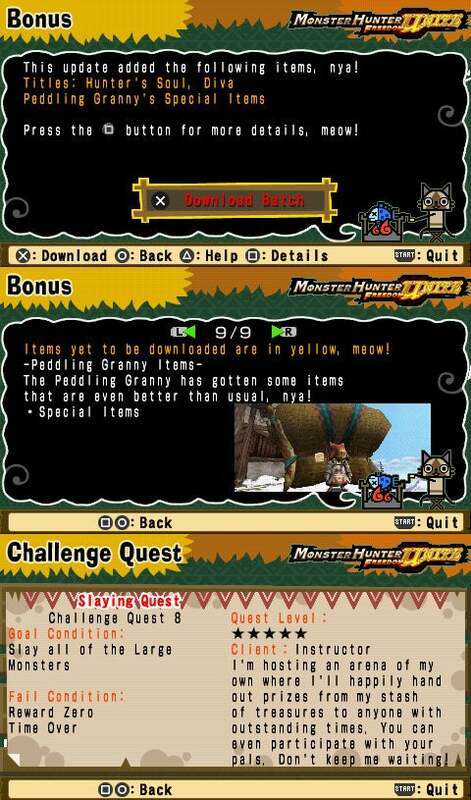 Start up your copy of Monster Hunter and download this new content now!